Are you a Tucson guru? Be heard and share your experiences by becoming an 520area.com Contributor. Learn More! Are you a local in the Tucson area? Join your community and Get Connected with others in your area. Join FREE! Tucson is becoming an increasingly popular place to live for families, professionals, and retirees. Zillow’s database lists the market for housing in Tucson as “very hot” with the average home value increasing 5.8% within the past year. Even if you're a novice when it comes to real estate, doing some initial research on your local housing market will give you an idea of what the current inventory of homes for sale looks like. Having some basic knowledge will lay the groundwork as you proceed to work with a real estate agent to determine things like how you should price your home and what features you should most prominently highlight. Prior to moving forward with listing your home, you will want to find a top-selling realtor in your area. There are many real estate agents in Tucson, giving you a vast list of possible agents to partner with. However, remember that the process of selling your home will be one of the biggest transactions you make in your lifetime; no stone should be left unturned in your search for the best agent. You can utilize digital platforms that match you with a list of the best-performing realtors® in Tucson. Effective Agents is a great site that takes the guesswork out of the process by using an algorithm to help you find a custom list of agents. Getting your home ready to be shown to potential buyers can be a major stressor. There's a great deal of time and energy that should go into making your home highly appealing to buyers and their agents. However, this can often lead to people cutting corners or becoming overwhelmed by all the work. It's definitely difficult to invest manpower in perfecting a home that you're looking to sell. This is the time to invest in bringing in professionals to get your home into prime selling status. This will free up your time to focus on more intricate tasks like decluttering your personal closets. For example, hiring a handyman to fix a leaking faucet will free up your time to go through those old boxes of clothes from 10 years ago and eliminate clutter, making your home look bigger when it's time to show to buyers. Similarly, bringing in a professional landscaping service will save you hours of yard work, allowing you to repaint walls or focus on staging your house. Staging is an excellent way to help your home stand out from the rest, giving you a strong advantage to receive top-dollar for your home. Taking the time to repaint walls, bring in staging furniture, and add accent décor will greatly increase the chances of your home selling quickly and for a great price. 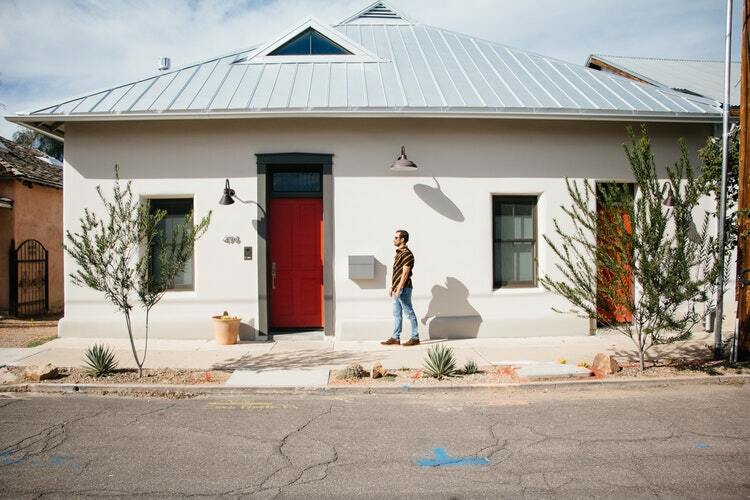 Find more on housing in Tucson and other real estate news by registering on 520area, your free guide to the Tucson area.